Knowing what to do when you see a tornado or when you hear a tornado warning can help protect you and your family. 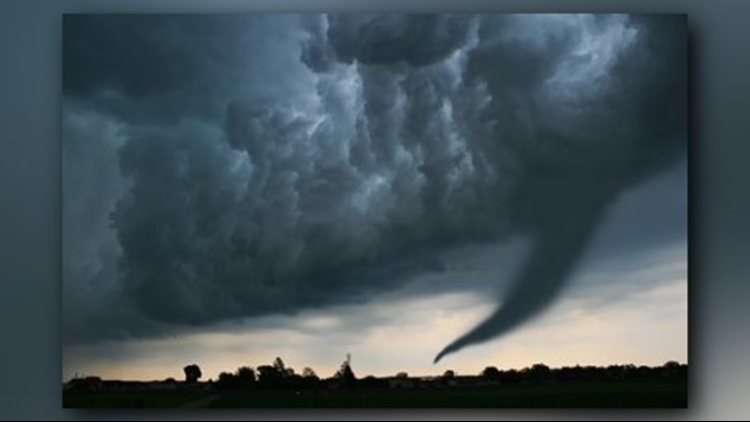 TYLER, Texas — Knowing what to do when you see a tornado or when you hear a tornado warning can help protect you and your family. During a tornado, people face hazards from extremely high winds and risk being struck by flying and falling objects. After a tornado, the wreckage left behind poses additional injury risks. Although nothing can be done to prevent tornadoes, there are actions you can take for your health and safety. According to the National Oceanic and Atmospheric Agency (NOAA) there is no guaranteed safety during a tornado. Even the possibility of a tornado must be taken seriously. Although the most violent tornadoes can level and blow away almost any house and those within it, extremely violent EF5 tornadoes are very rare. Most tornadoes are much weaker. You can survive a tornado if you follow safety precautions. Here are three important tips to help keep you safe. Be sure your children know what a tornado is, what tornado watches and warnings are, what county or parish they live in (warnings are issued by county or parish), and what makes a location a “safe shelter,” whether at home or at school. For added protection get under something sturdy (a heavy table or workbench). If you are outside or in a mobile home, find a nearby building preferably with a basement. If you are in a car, do not try to outrun a tornado but instead find the nearest sturdy building. STAY INFORMED: Continue to listen to local news or a NOAA Weather Radio to stay updated about tornado watches and warnings. Multiple rounds of thunderstorms capable of producing tornadoes are possible during severe weather outbreaks. HELP YOUR NEIGHBOR: If you come across people that are injured and you are properly trained, provide first aid to victims if needed until emergency response teams arrive. Learn more about how to stay safe during a tornado.